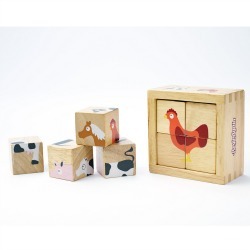 A great first block set that grows with your child! Begin Again Buddy Blocks - Shape, sort, flip and learn! 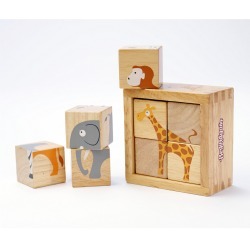 Each 4-piece buddy block set forms 6 different puzzles featuring colorful animals. Toddlers will enjoy stacking and puzzle plays as they develop fine motor skills. 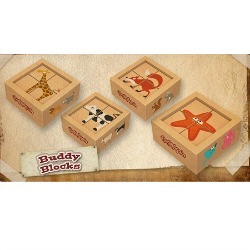 Buddy Blocks are also the perfect introduction to puzzles. 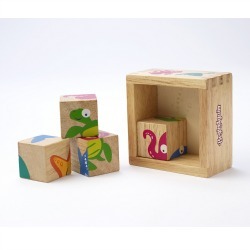 Sized for little hands, the 1 1/4" blocks are earth friendly and a delight to hold. Comes with storage tray for easy clean up. 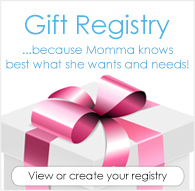 Buddy Blocks are a multi-stage toy that grows with your child's needs! 6 puzzles in 1: each side is printed with a different animal! Made from natural Rubber wood, printed with non-toxic inks. These toys meets US, Canadian and European safety standards.